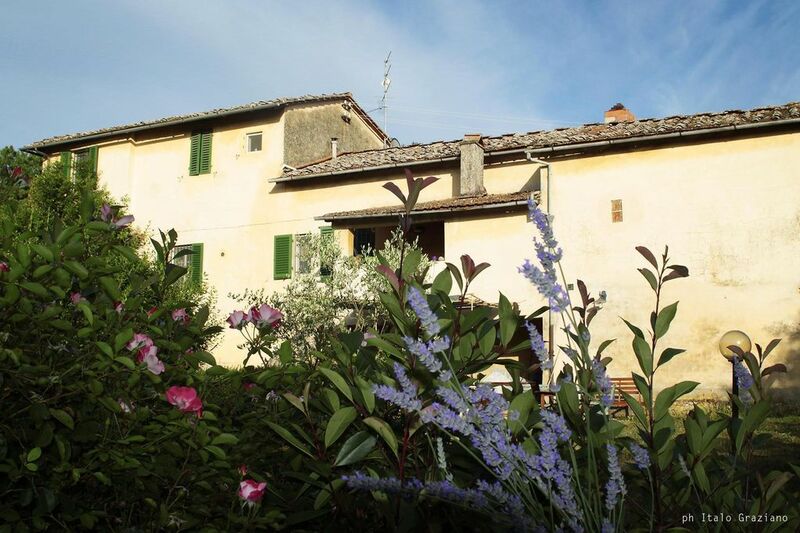 Villa Coltifredi is a farmhouse in the center of a small village surrounded by vineyards, olive groves and woods a few steps from Mercatale Val di Pesa, a village in the heart of the Chianti Classico provided with different services (supermarket, bank, post office, foodstuffs, etc.). ..) a few km from Florence, also reachable by public transport, the bus stop is located a few steps from the house. Guests will have access to the furnished garden where breakfast and the park with swimming pool will be served. A small garden is available for guests to enjoy fresh vegetables in season. We have three apartments. The rooms are equipped with cable TV and wi-fi. We are available to guests for any information or request.